What Is the Meaning of the Lord Saying to Abraham ‘Go Forth from Your Country’ in the Bible? This is the start of your Abraham’s journey with those desires he was able to attach to himself: Sarah, his household, and his students. The journey is “out of your country, away from your relatives and away from the home of your father.” In other words, you must break away from all of it. “Breaking away from the earth” means parting from all the desires that you still cannot correct. Their time will come, but for now you leave them behind and retain only those desires you can attach to Bina, the part of the Creator in you, this fervent will to bestow that you’ve acquired. You will need to take these desires and arrive with them at the spiritual level called the (First and Second) “Temple,” the level of desires at which kings David and Solomon exist. We also need to clarify that once you’ve attained their level—the complete correction of those desires you’ve “taken with you”—you will need to once again fall into the abyss of egoistic desires you have temporarily left behind. 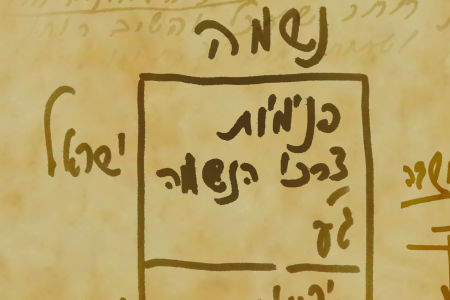 Having achieved correction, you will need to once again mingle with Nimrod, with Terah, and with Haran, for you will now have the strength to correct them. Indeed, the purpose of your creation is the complete correction of all your desires. Only then will you merge with infinity and achieve the absolute bliss that exists even now, only you cannot feel it because of your uncorrected vessel. “…to the land that I will show you.” That is, “Make use of the desires that will awaken in you. They will be the desires you’ll attach to your intention to bestow, called ‘Abraham.’” The Creator will awaken these desires in you, and He will help you correct them. Thus He will lead you into the land of absolute bliss. What is the “great nation” spoken of here? There are numerous conjectures surrounding this “great nation.” Some say this refers to the nation being chosen by God, but this is incorrect. In fact, this kind of separation and sense of superiority of one nation over another is precisely the root of all problems, as we can clearly see in our world. What is a “blessing”? Whenever we receive a blessing in life, we are absolutely certain that it’s given to keep us healthy, successful at our jobs, and so on. In truth, a blessing does not pertain to our egoistic world at all; it is a spiritual notion that leads us to the spiritual world. It has nothing to do with worldly affairs. A “blessing” is the force or Light that descends to us and corrects our intentions, transforming them from egoistic to altruistic. Here stands a harsh passage from the Midrash: “I free you from the obligation to honor your father. You may leave him without a second thought. Your father and brother, who appear very friendly, are in fact hatching evil schemes. They’re planning murder…” This reads like something straight out of a thriller. But by now you know that the passage references your old states, which you’ve lived with before and which cannot agree with you. These desires see that you are right and thus admit that you have risen above them. That is because your ascension happens at the degree of Abraham (Bina) inside you, and at this degree you don’t ask questions; you only ascend, breaking away from egoistic desires until you are strong enough to deal with them. What does it mean, he “went”? It means you have begun to conquer the spiritual ladder. New egoistic desires keep popping up within you, which you can correct by attaching them to “Abraham.” That is, you can view them through the prism of Abraham, constantly comparing them to Abraham’s quality, thereby attaching them to him, to the quality of Bina in you. And so you will always be able to rise above them. 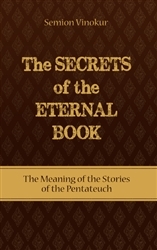 “What Is the Meaning of the Lord Saying to Abraham ‘Go Forth from Your Country’ in the Bible?” is based on the book, The Secrets of the Eternal Book: The Meaning of the Stories of the Pentateuch by Semion Vinokur. It’s really assuring and revigorating reading your revealing and soul inciting articles. Though I been a follower of your write up, they ever desiringly fresh. May the light continue to use to touch souls.